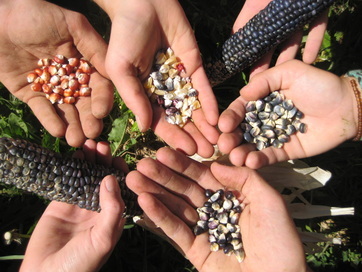 What is a Permaculture Design Certification Course? Permaculture Design Certification (PDC) is a world-wide recognized course, training you to become a competent Permaculture designer of sustainable living environments & bountiful food systems. Our 14-day hands-on intensive Permaculture Design Certification covers over 90 hours of practical experience and theoretical knowledge in natural farming, sustainable technologies, natural building and fostering a healthy community. You will learn to design and apply natural principles to create stable and resilient systems that provide food, water, shelter and energy needs while regenerating ecology, community and economy. Permaculture is a conscious integrated design system based on ecology and sustainability principles, used to create resource efficient and productive human environments, and reduce our footprint on the earth. Permaculture provides a framework for consciously designed landscapes that mimic the patterns and relationships found in nature that provide diversity, stability, and resilience. These systems yield an abundance of shelter, water, energy, and food for the provision of local needs. Permaculture uses both modern and traditional technologies & pragmatic solutions to meet today's challenges with a positive outlook, focusing on the solution rather than on the problem. Owen Hablutzel is a certified Permaculture Designer and Registered PDC educator through the Permaculture Research Institute. 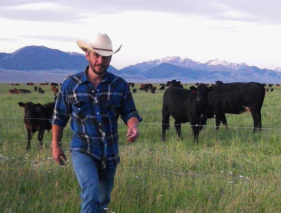 Owen is also a Certified Educator with Holistic Management® International. He has been working as a consultant, educator, and group-facilitator throughout the western U.S. and also internationally - from North Africa to the Middle-East, Australia, Canada, and Mexico—since 2007. With a focus on broad-acre and regional systems he enjoys integrating Permaculture with Keyline® Design, Holistic Management, and Resilience Science for a range of clientele. Whether engaging with farms, ranches, classrooms, non-profits, NGOs, government agencies/ministries, or other land managing entities, the core work and passion remains empowering people and communities to create robust land health, adaptive capacity, and resilience through stewardship. At Geoff Lawton’s invitation Owen has been a director of the Permaculture Research Institute, USA since 2008. To learn more about Owen visit his profile at PermacultureGlobal.com. Cathe’ Fish is the founder and manager of the Practical Permaculture Research Institute (www.practicalpermaculture.com). She has been active as a Permaculture consultant and Permaculture teacher since she was certified in 1987. She has designed 40 acre farms to small suburban plots. She has owned two 40 acre Permaculture farms. Cathe' has been a Master Gardener since 1988, through the Land Grant University system. In 2010, she earned her Sustainable Landscape Expert certification. Until 1999, she lived for 25 years in the high desert of Arizona where she created a Permaculture homestead and food forest. She was the gardening editor for the Bisbee Observer for three years. She was the founder and original editor of the Drylands Permaculture newsletter in 1987 with Bill Steen, which later became the Permaculture Drylands Journal. 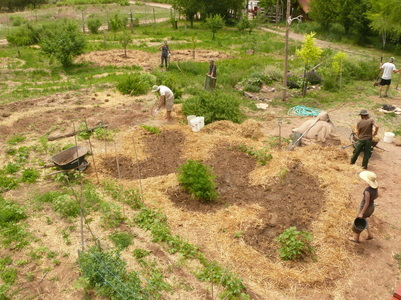 Cathe' loves Permaculture, especially food forests, particularly rare fruit trees, and she has planted 1000's of trees. She was the previous director of Cochise County Global ReLeaf. She is a member of the California Native Plant Society, NAFEX North American Fruit Explorers, California Rare Fruit Growers and the Local Food Coalition. Cathe' currently owns and operates a 5-acre Permaculture farm and demonstration site in northern California, where she lives and teaches practical Permaculture. Course Tuition: $1,000 - Cost includes instruction, organic vegetarian meals, and camping (with your own gear). Accommodation: Camping included in tuition. Lodging rooms available: private or dormitory. Luxury camping available: Tipi and wall tents. Why is our tuition so low? As non-profit organization, we believe that our Permaculture Design Course should be offered at a cost that is affordable to as many people as possible, while maintaining the highest standards of quality instruction, healthy organic meals, and a natural setting. To find out more, please email info@TrueNature.org or fill in the form below. Click on the Pay Now icon above. Once you reach the PayPal website, you will see: "Don't have a PayPal account? Pay with your debit or credit card as a PayPal Guest". Enter your credit/debit card information and click "Review & Continue" to complete the transaction. Or, if you have a PayPal account, log on to your account to complete the transaction.